Last evening, I felt like I boarded the late freight when I discovered the news. I came out of my S Factor class feeling incredible bliss. It was interrupted with a voice that told me to turn on my phone and connect back into the outside world. When basking in the after-glow of class, I try to put off plugging back in to the world so quickly. Despite my initial resistance, I listened to this urge. It pointed me to the numerous FB postings about Nelson Mandela’s death. Driving home, there was such heaviness in my heart. May the world truly aspire to live by Mandela’s example. 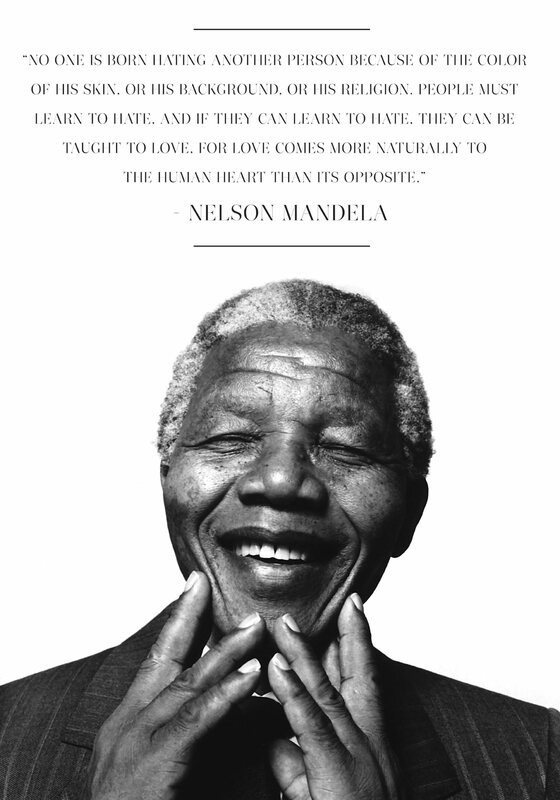 Rest in peace Nelson Mandela, your humaneness will never be forgotten. A favorite of many Nelson Mandela quotes. I'm a well traveled Audiobook Narrator, Voice Over Actress and former dance educator. I even danced with the legendary, James Brown "The Godfather Of Soul" Yes... I did! I'm proud to be an Italophile.. I speak fluent Italian. Scrivo e leggo pure l'italiano. Tell me about your favorite books, healthy recipes (vegan, gluten-free), inspirational quotes, what excites you in life, random acts of kindness, favorite places to travel where you truly immersed yourself into the culture.